What is South Africa going to do in an era of automation? How will we secure jobs without pandering to protectionism? Will a Universal Basic Income become a reality? And with robots taking on much of the mundane, what is the future of creativity? Gartner predicts that by 2020, artificial intelligence (AI) will eliminate 1.8 million jobs globally, but it will create 2.3 million in exchange. In Africa, many of these roles could arise to facilitate the testing of new technologies. With a continent famed for its ingenuity, Africans are in prime position to discover interesting applications for AI. While many are cautious – even pessimistic – about the future, experts at the recent Stellenbosch University Institute for Futures Research's Annual Workshop and Conference believe that it is a case of asking 'Why can't we?' instead of unpacking 'Why we can't'. 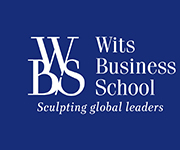 Professor André Roux, head of the Futures Studies Programmes presented at the University of Stellenbosch Business School, says that South Africa has no choice but to be part of the Fourth Industrial Revolution, “Protectionism condones inefficiencies. In China, 90% of labour costs have disappeared due to automation. Inevitably, Chinese cars are cheaper. So, guess which cars consumers buy? We need to consider the danger of protectionism at the expense of competitiveness." Roux believes that global warming will change the world in ways not yet fully considered. This has big implications for emerging economies, “A big concern is that the massive populations of China and India are reaching mid-income status, with mid-income drives. The question then becomes how to survive all this prosperity? It's a geopolitical challenge. It would be hypocritical for the developed world to turn to the developing world and say, 'You can't eat meat because it takes 9000 litres of water to produce under half a kilogram of beef' or 'You can't go on holiday because of the carbon tax'." Global spending on AI will reach $7.3 billion by 2022, according to Juniper Research. While Stephen Hawking said AI could spell the end of the human race, Butler is far more optimistic. He believes it could bring about big opportunities for Africa. While we may not lead the charge in creating AI and tech, we will play an integral role in finding interesting applications for it. Because that is what African ingenuity is all about. It is what we excel at doing. In the future we could become the major test bed for all innovations. For physician and philosopher Professor Shadrick Mazaza, founder of the African Consciousness Institute, the future is all about personal transformation. Referencing analytical psychology founder Carl Jung, Mazaza says the transformation of the self is imperative to the transformation of Africa. In every self, there are 'two people': we have the self that people see – your personality that is run by your amygdala, which prompts the 'fight or flight' response – and your higher self, the self that intersects with every other person, making us all one. To change Africa and the world, we must raise citizens' levels of consciousness. By understanding our higher selves, we rise beyond the illusion of differences to others. Mazaza believes Industry 4.0 is the era of thought and consciousness, “This is the time when we're trying to understand the entire package of human experience. It's a time of understanding the nature of thought. Of understanding consciousness. We're now in the experience economy – it's all about thought and emotions." To achieve Agenda 2063 – a strategic framework for the socio-economic transformation of Africa – Mazaza says we need personal transformation. “If we can get 5% of the African population to free themselves from the illusion of difference by better understanding themselves, then we can transform this continent." Roux concludes that we cannot limit ourselves to one kind of future. “It should be 'Why can't we?' and not 'Why we can't'. We have to be careful about not being adamant about one kind of future. It's not a case of either/or; it's a case of and/and. Printed book sales are actually rising. More fountain pens have been sold in the last few years than ever before. Vinyl has made a comeback. We can still read on screen and buy the weekly magazines. We can still invest in state-of-the-art tech and prefer hardback books. It's not about the demise of things. It's about a change in shape and form. We need to reimagine space."